Today’s kitchens are designed to be both social and practical , nothing makes a house a home better than having the right combination to suit your lifestyle. 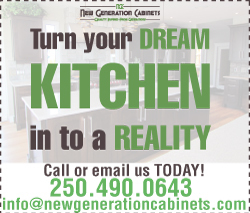 At New Generation Cabinets we build from the bottom up to give you a kitchen that is specific to your needs so whether your building new or renovating you existing kitchen we work with you to get the kitchen you have always dreamed of. Bathrooms need to be functional, combine that with maximum storage and finished it with style, and you get a bathroom that anyone can find desirable. So weather you are looking for that spa like feel or just a modern functional space we are committed to giving you the bathroom you can be proud of. Bring your dreams to reality with New Generation Cabinets.